1. What are coins used for? -Training your Recruits. This increases Recruit level and stats. Ensure you train your Recruits to their max level before evolving. -Evolving your Recruits Merge two of same Recruits to increase their max level and stat potential. If both Recruits are fully enhanced you will receive double to the bonus! 2. How do I change my name? - On the main screen, in the top left corner tap on your level to open your proﬁle. To edit your na me, ta p on the icon next to your default name "playerxxxx". Your ﬁrst na me change is free, so choose carefully! Charms are used to Enlist 1-4 Star Recruits. Pins are used to Enlist 3-6 Star Recruits. Coins help you Upgrade and evolve your Recruits. Panem/Capitol: Whether your Recruit is from Panem or the Capitol. Stars: More Stars equals greater rarity and skills. Power Cost: Power consumption of this Recruit in Battle. Card Bar: Evolve tier of your Recruit. Upgrade to increase. HP & ATK: Raise HP and ATK with Upgrade and Evolve. Exploring costs Endurance points, but I think you'll ﬁnd the Rewards are worth it. Coins and XP can be gained with each step, Plus, your Endurance points will recharge over time. And remember, when you level up, Endurance and Power points are restored. Training: Choose the Recruit you want to Train by dragging it into the training slot. Training and Evolving are the keys to victory. Visit the Upgrade section to strengthen your Recruits. more you Collect! Check your Inventory to claim the prize. Enlist: Enlisting is the quickest way to acquire Rare and powerful Recruits. Power is used to engage in Battles during your Explores. The a mount of Power consumed equals the total Power cost of all Recruits active in your Squad. Your Power replenishes by 1 unit every minute. You can get full Endurance in PBR: Raging Bulls app at anytime. You can get this cheat by changing your phone's time setting. Close your The Hunger Games: Panem Rising app by either restarting your phone or by killing it on your task manager. Open The Hunger Games: Panem Rising app and you will get your full Endurance. If you decided to get full Endurance again, just complete the step 1-3. 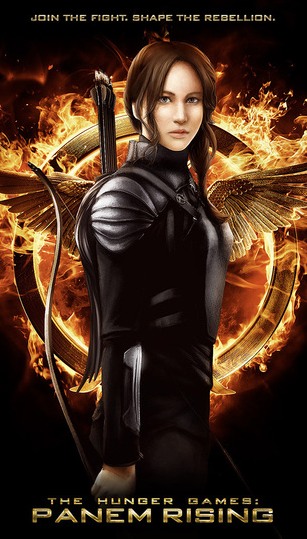 Open The Hunger Games: Panem Rising app but do not play a single game. Open The Hunger Games: Panem Rising app just to make sure that there is no problem.